This entry is part 14 of 15 in the series Effectual Fervent Prayer. 10 And the king of Israel sent to the place which the man of God told him and warned him of, and saved himself there, not once nor twice. 11 Therefore the heart of the king of Syria was sore troubled for this thing; and he called his servants, and said unto them, Will ye not shew me which of us is for the king of Israel? and they came by night, and compassed the city about. 15 And when the servant of the man of God was risen early, and gone forth, behold, an host compassed the city both with horses and chariots. And his servant said unto him, Alas, my master! how shall we do? 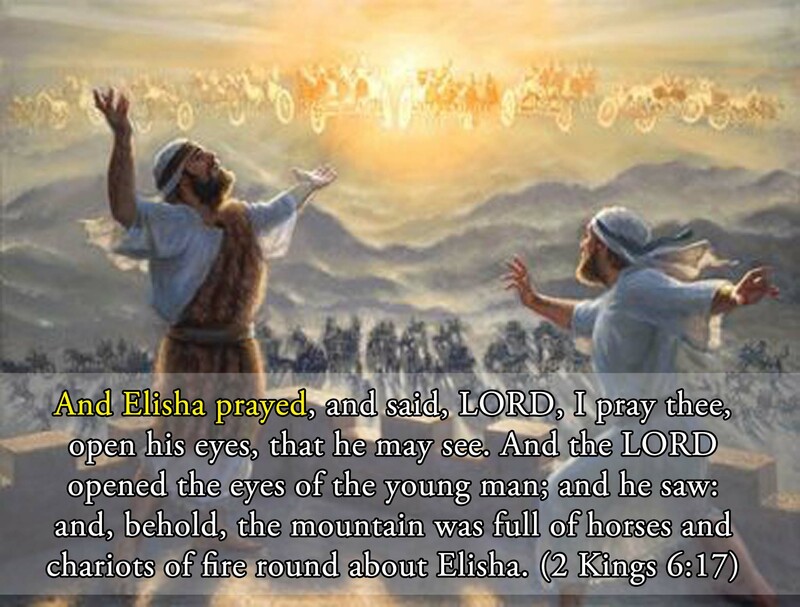 17 And Elisha prayed, and said, LORD, I pray thee, open his eyes, that he may see. 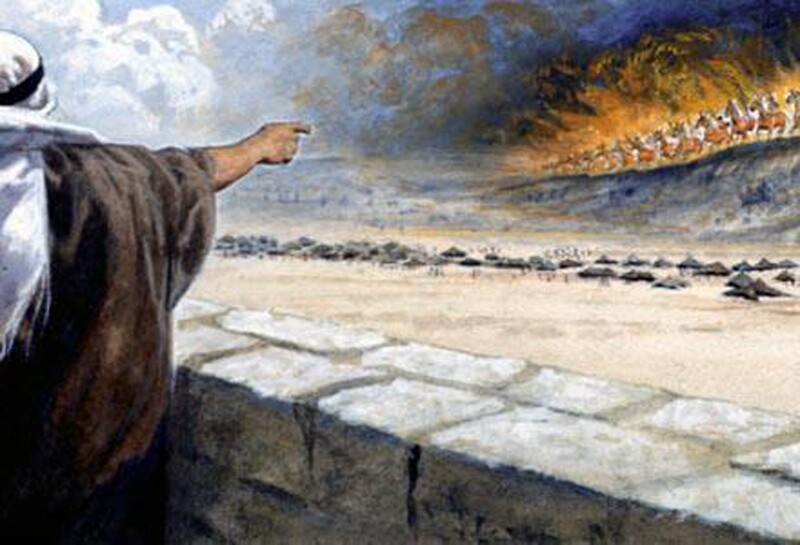 And the LORD opened the eyes of the young man; and he saw: and, behold, the mountain was full of horses and chariots of fire round about Elisha. 20 And it came to pass, when they were come into Samaria, that Elisha said, LORD, open the eyes of these men, that they may see. And the LORD opened their eyes, and they saw; and, behold, they were in the midst of Samaria.